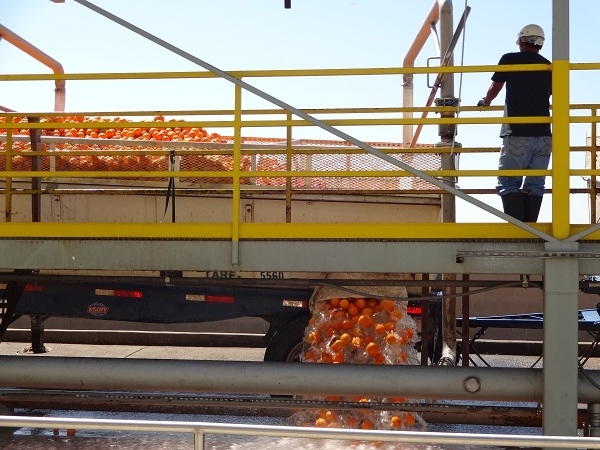 Growers ship freshly picked oranges, grapefruits and lemons to our plants by truck. Learn More Growers ship freshly picked oranges, grapefruits and lemons to our plants by truck. Fruit is washed and sanitized before processing. 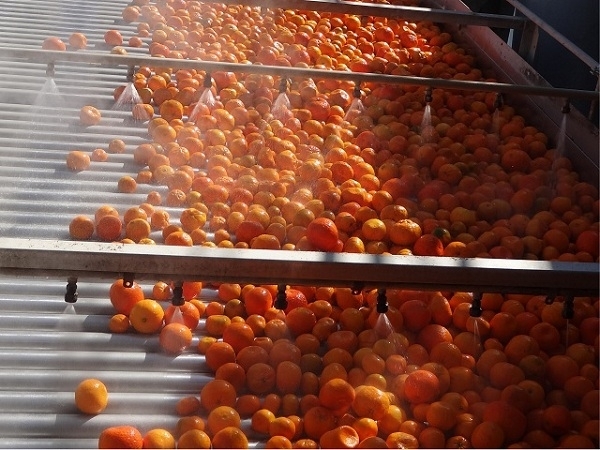 Learn More Fruit is washed and sanitized before processing. Fruit graders carefully check incoming fruit for quality and size. Fruit not meeting our highest standards are rejected. Learn More Fruit graders inspect fruit and reject any that do not meet our quality standards. Raw juice, pulp, peel, and essential oils are extracted from the fruit. Learn More Raw juice, pulp, peel, and essential oils are extracted from the fruit. Finishers separate pulp cells from juice. 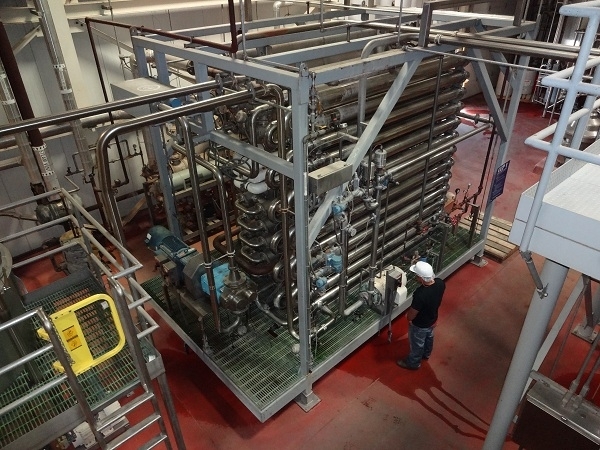 Learn More TOP: The cyclones (top left) and finishers (top right) work in series to process pulp cells. 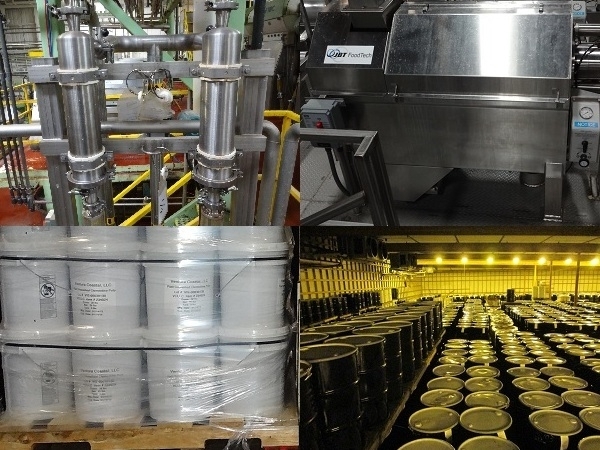 BOTTOM: Pasteurized pulp is packaged in either pails (bottom left) or in drums (bottom right). 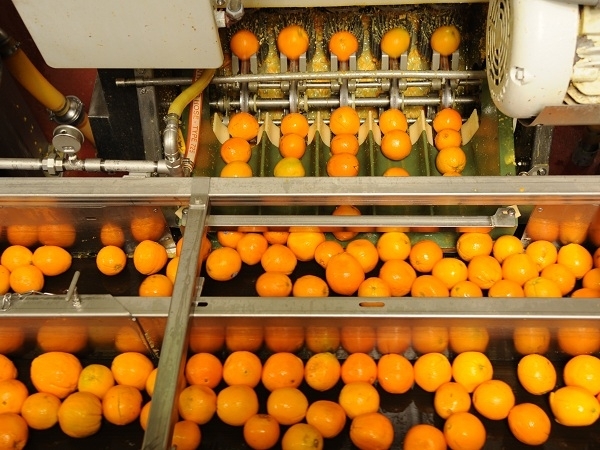 Pulp defects are removed from the raw juice and combined with peel. Learn More Pails of pulp being loaded onto a truck. De-oilers remove oil from the raw juice. 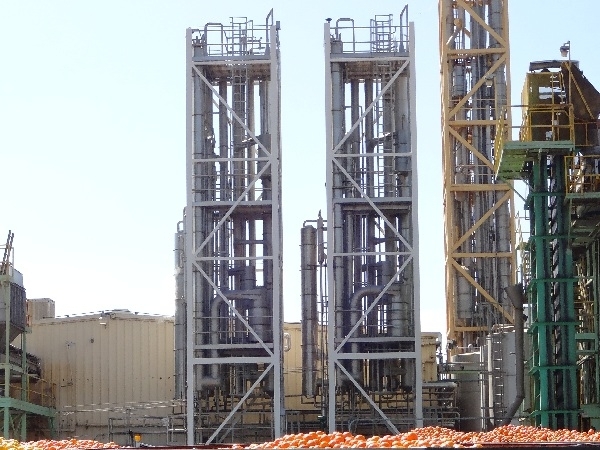 Learn More De-oilers remove oil from the raw juice. 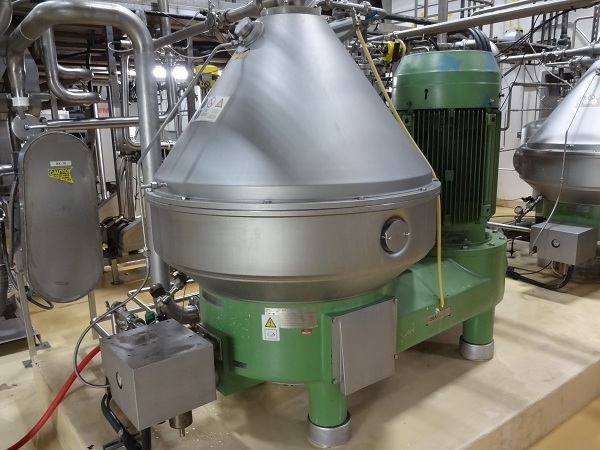 A centrifuge removes fine pulp particles from the raw juice. Learn More A centrifuge spins the raw juice at high speed and removes fine pulp particles. We test quality throughout our entire process. 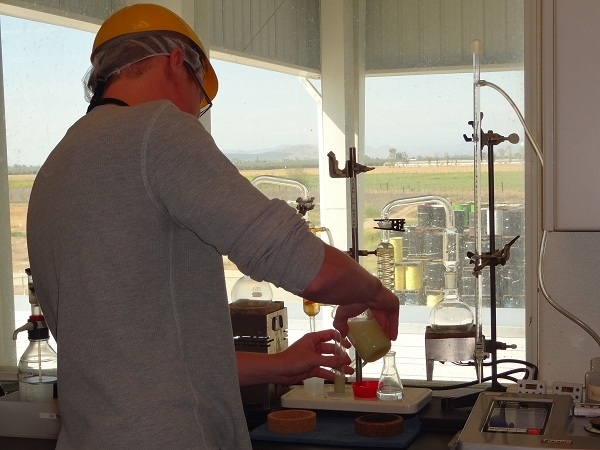 Our vision is for our citrus products to exceed the quality expectations of our customers. 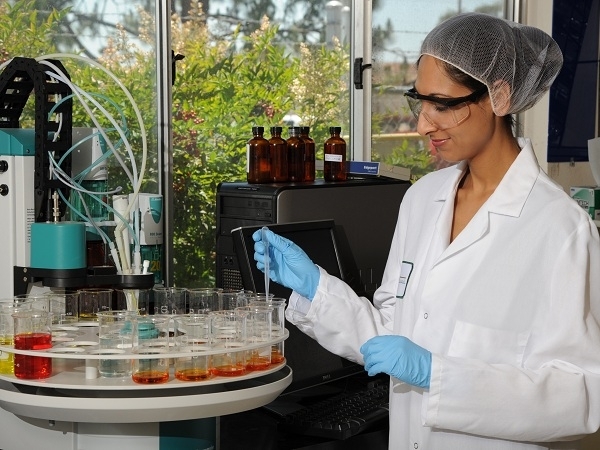 Learn More Our quality assurance technicians continuously analyze our products to ensure their safety and quality. The sterilizer stabilizes the juice. Learn More The sterilizer briefly heats the juice before sending it to our refrigerated aseptic storage facility. Millions of gallons of juice are stored in our refrigerated aseptic storage kept at 34°F to maintain freshness. 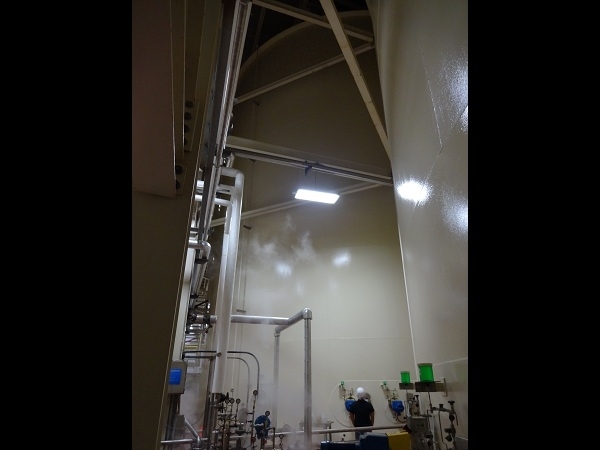 Learn More Each tank in our refrigerated aseptic storage facility can hold 1 million gallons of juice. We test our products to exceed a customer's specifications prior to shipment. Learn More Our Quality team monitors that our products meet a customer's specifications before shipment. 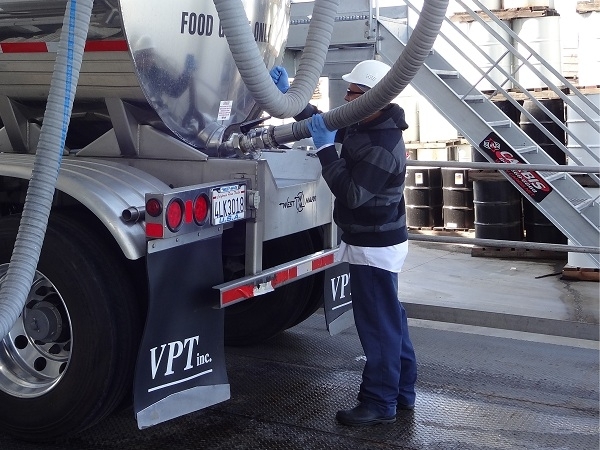 Customized juice blends are shipped to our customers, often in a tanker truck. 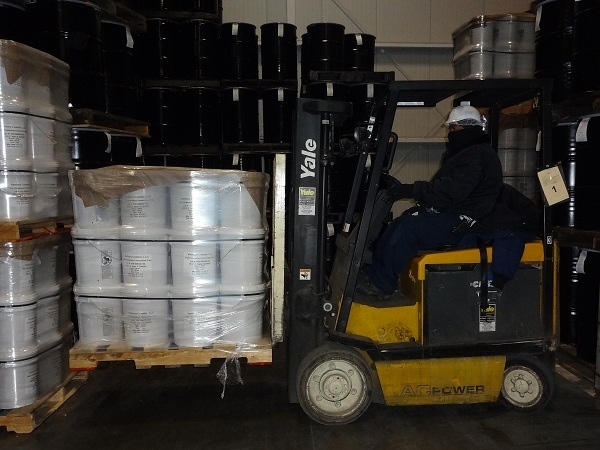 Learn More Nearly 5,000 gallons of a customer's chilled juice blend is pumped into a tanker truck for shipment. 2325 Vista Del Mar Dr.